The investigation in this case has shown the *blatant political interference at the highest levels and the extent to which institutions such as the Delhi Police and the CBI has been severely compromised under the Modi Government. 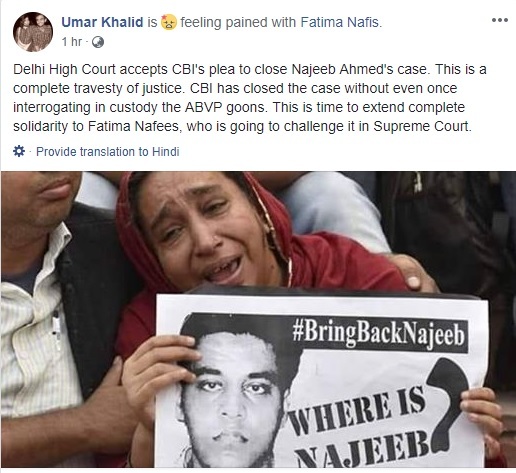 * Despite repeated appeals and protests and strongest arguments made in the court, both the CBI and the Delhi Police has stubbornly refused to investigate into the assault against Najeeb the night before he disappeared. Najeeb’s assaulters who are all ABVP members have been represented at various points by the most expensive and high profile lawyers. 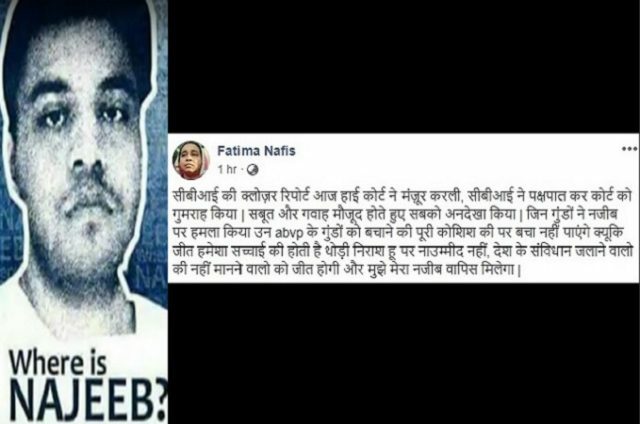 Fatima Nafees’ case against the media groups and ABVP members for defaming her son, filed at the Patiala Court went missing from the court premises. “I am heartbroken at this verdict. The CBI has conducted the most biased investigation and its sole objective has been to shield those who assaulted my son. I still retain faith in the judiciary and will not stop until I find justice for my son,” Fatima Nafees said after the hearing. 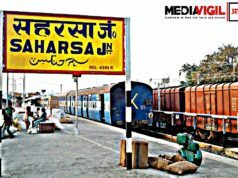 Previous article#MeToo : कुछ हश्र तो इनसे उट्ठेगा! 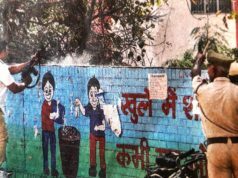 Next articleइंदौर में अमित शाह की सभा में बीजेपी का झंडा पकड़ने के लिए 200 रुपये में बुलाए गए बैंड वाले!